What a great addition to the list of DC's native professional athletes. 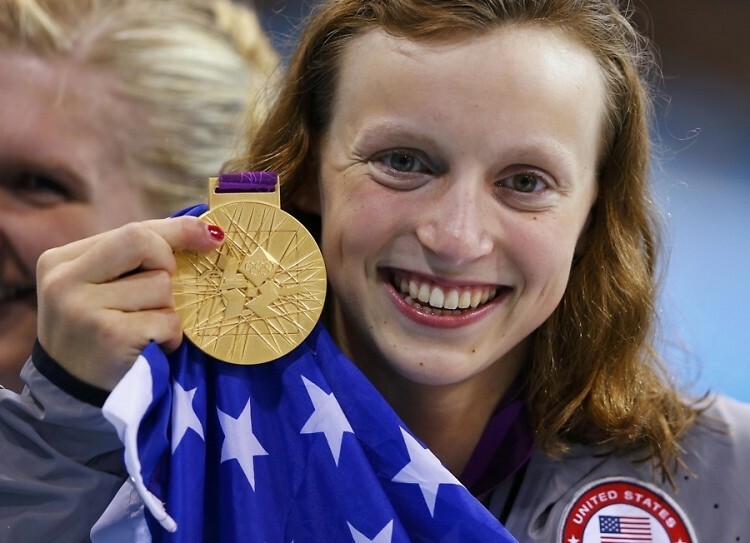 Katie Ledecky went into the 2012 Olympic games as the youngest member of the US Olympic team--younger than any other sport. 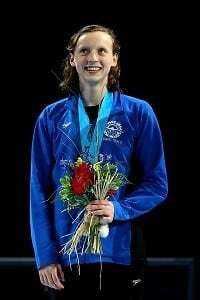 She competed in the 800 meter freestyle final on Friday, where she won the gold medal! Katie lives in Bethesda and will be a student at Stone Ridge School of the Sacred Heart. If you visit the school's website, you'll be greeted with a pop-up of Katie's picture and the quote, "Katie Ledecky is GOLDEN." According to her Wikipedia page, she trains at Curl Burke Swim Club, and swims for Bethesda's Palisades Swim Team in the summer. Bethesda is only a skip from Baltimore...maybe she will pick up where Phelps is leaving and snag his coach!